Earlier this week, a cell phone video of Dennis Quaid freaking out and swearing at co-workers and crew members went viral on the internet. His rant was compared to a similar meltdown by Christian Bale that occurred in 2008. Not everyone wanted to believe that the actor would display that kind of profanity and anger and word started to spread on social media that it had to be a prank. Others thought Ellen DeGeneres might be to blame as she and Dennis have pulled pranks together in the past. Well, the truth has finally been revealed. It turns out the expletive rant was a promotion for a new video for the comedy website Funny or Die. In the full video released today, Dennis’ tantrum is explained with a few more important visuals. He really wasn’t that convincing. Anyone could call it when he was pausing and trying to look for swear words. Also, this is 7 years too late. No one cares about the Batman Freakout anymore. They’re over that. Why didn’t Funny or Die make this video then? Oh right, they’re not funny anymore. u r rong and dum lol. he is a grate acter and he is a super funny acter u r dum. funny or die is still super funny so thats y dennis quade wanted to join funny or die because hes a supper funny acter. grow up. 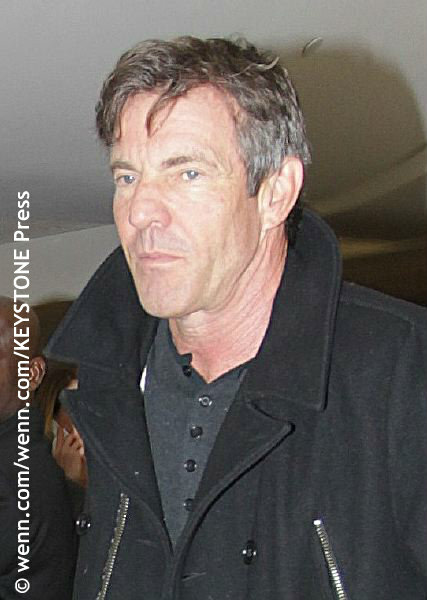 I LOVE Dennis Quaid.. I’ve loved him since the late 80s’ when I first saw him in DOA. Then I had to see every movie he’d ever done and still do. He’s an awesome actor and very versatile if you ask him. BRILLIANT in both comedy and drama – you always believe the character he plays. Fixed – he seems too level headed to lose it like that in real.. plus he’s born April 9th (same day as one of my best friend Laina)… so we KNOW he’s just a pranker and too much fun for words…… You know those Aries – they love to take risks, so adventurous and not shy! I so LOVE him because he’s who he is…. xo KUDOS!! Well done!